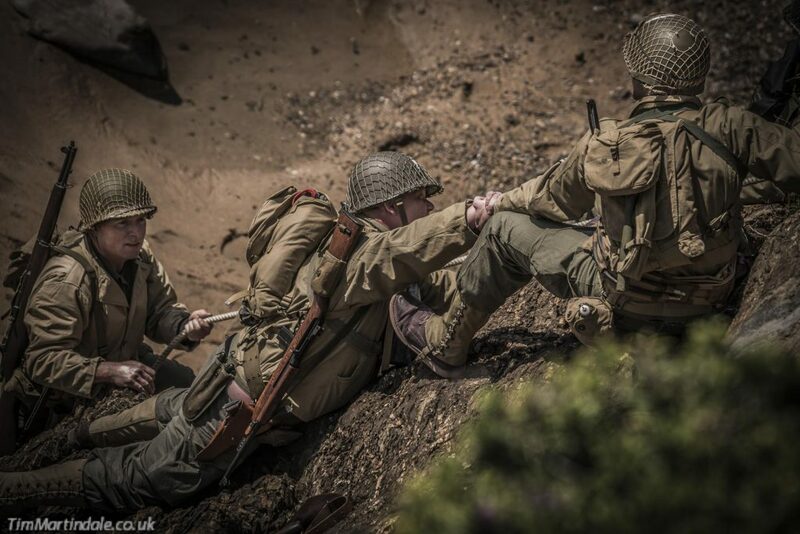 We have the exciting prospect of The Bude at War Weekend coming up on September 16th/17th. 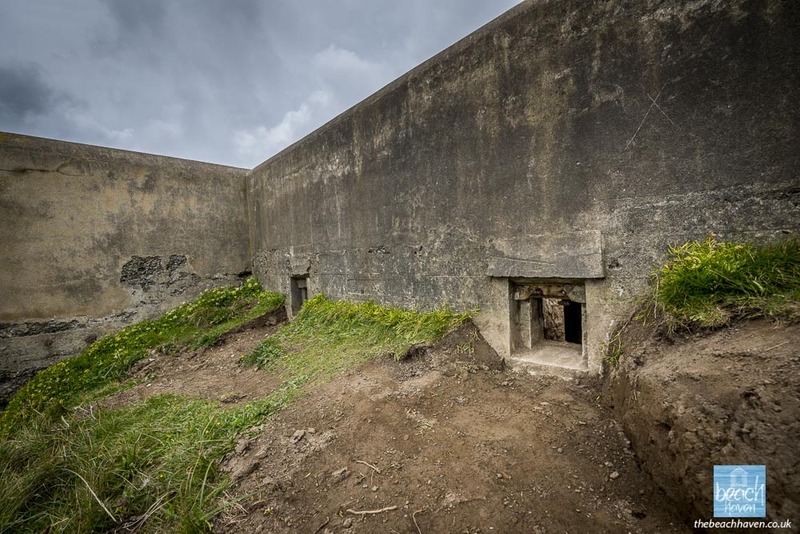 In preparation for that, the Second World War Crooklets pillbox overlooking the beach has been opened again for the first time in many years. Before it was blocked up I have distinct memories of playing in it as a child and trying to find the fabled ‘secret tunnel’ that supposedly led to and from the cave below. Needless to say, that proved fruitless but it certainly captured my imagination and that of my young peers! It was with great curiosity a couple of weeks ago I set foot inside again, for the first time in forty-odd years, and looked at it with wiser, more understanding eyes. 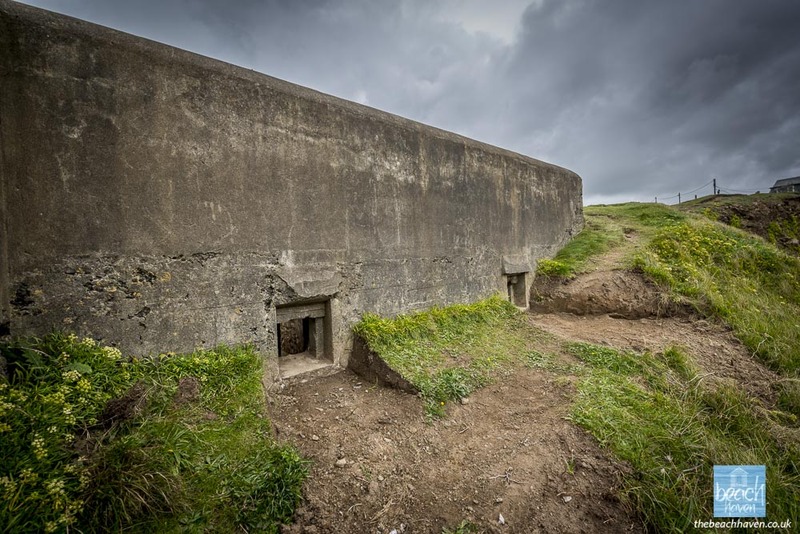 This pillbox, along with countless others across the country, was built as a defence against the expected invasion attempt by Germany, in the early years of the Second World War. 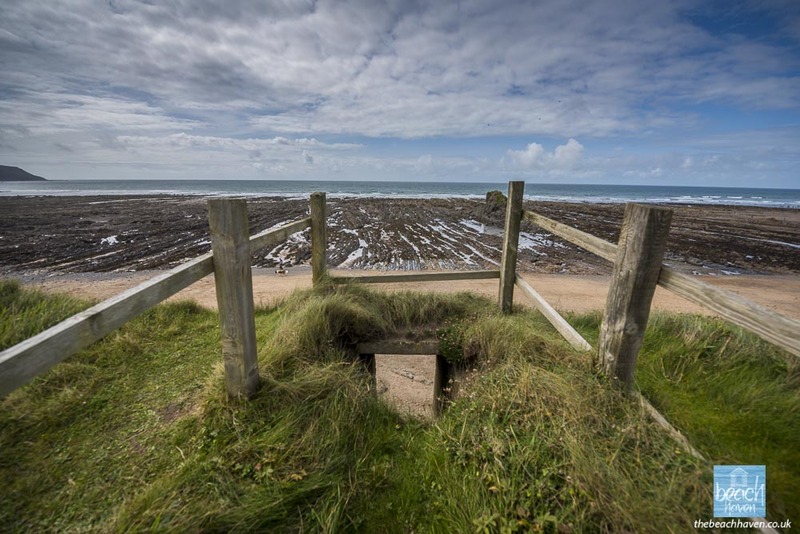 Here at Bude, the wide beaches and gentle access to the land were considered as possible landing beaches; albeit, extremely unlikely, given the distance and passage involved from northern France! 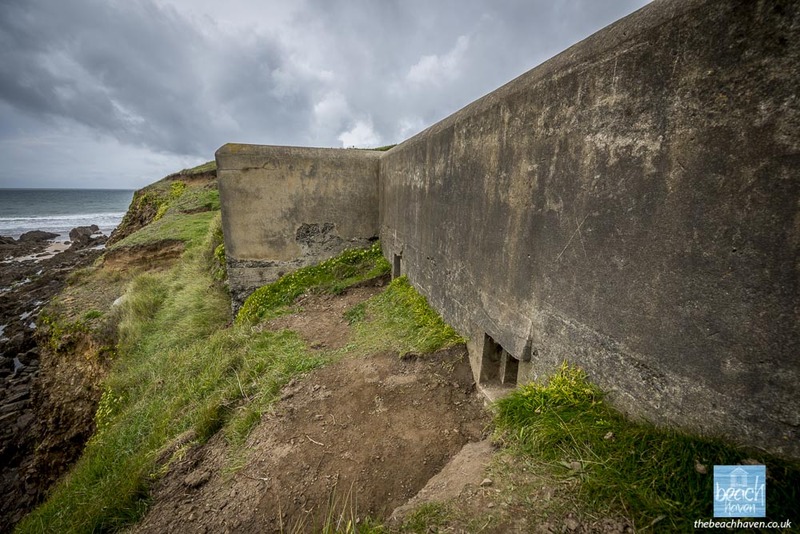 There were a number of standard pillbox types built to common specifications but this one (and a very similar one at the north end of Widemouth Bay) seems to have been built to a custom design with a buttress blast wall, almost one metre thick, to the seaward side. 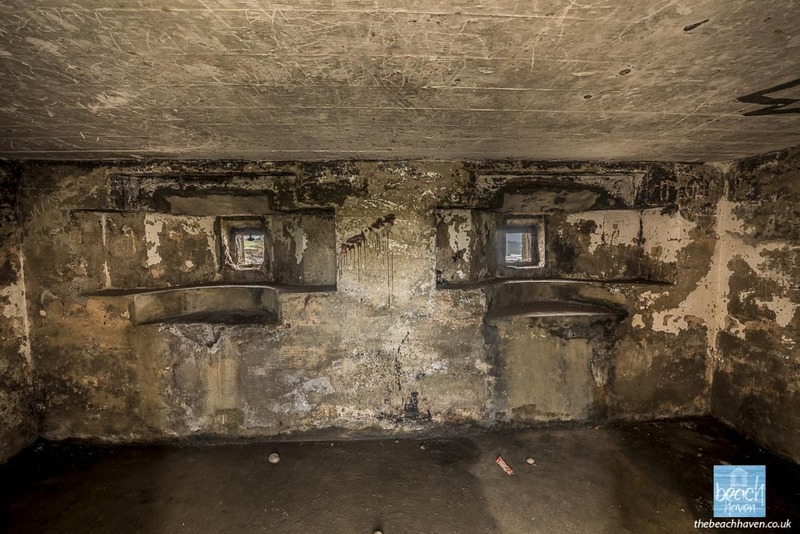 The embrasures (where the weapons would have been mounted) inside the pillbox seem to indicate the pillbox would have contained a pair of machine guns. The remains of some steel around one of the apertures looks like it would have had a ‘Turnbull Mount’ that was typically used with a Vickers .303 machine gun. 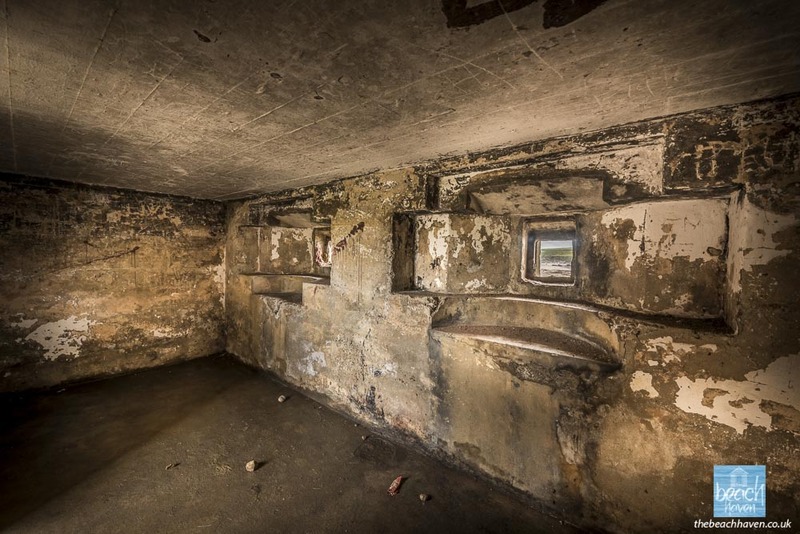 It’s thought that the pillbox was built in 1940/41. 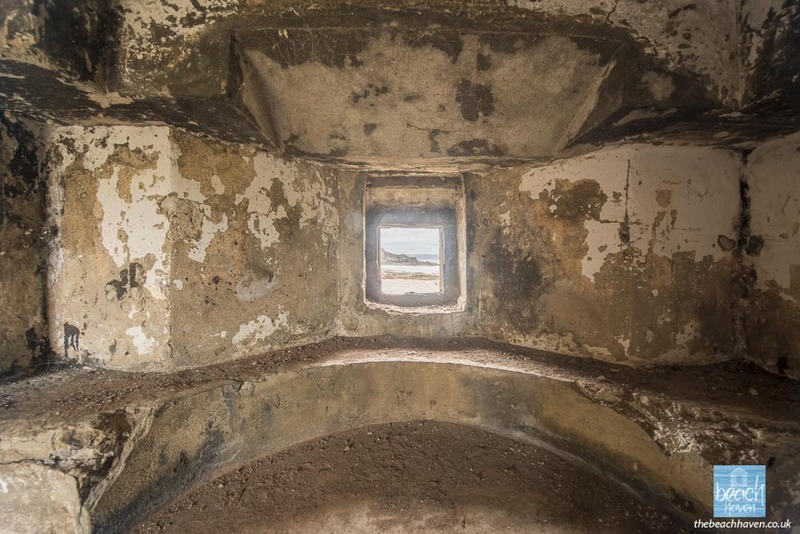 Although the pillbox thankfully never saw any enemy action, it did oversee an important WW2 event. 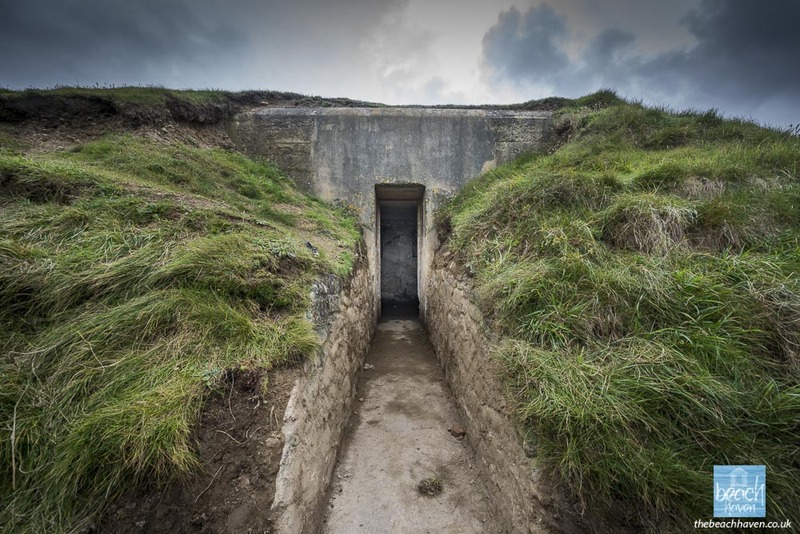 In preparation for the D-Day landings, the US 2nd Rangers were sent to Bude to practice for their assault on the gun battery at Pointe du Hoc in Normandy. 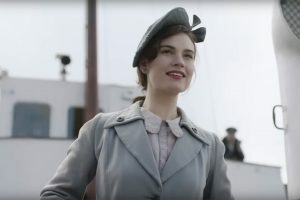 The cliffs around here were judged to be very similar and the raid involved scaling the cliffs using ladders. Read more about the Pointe du Hoc raid here. 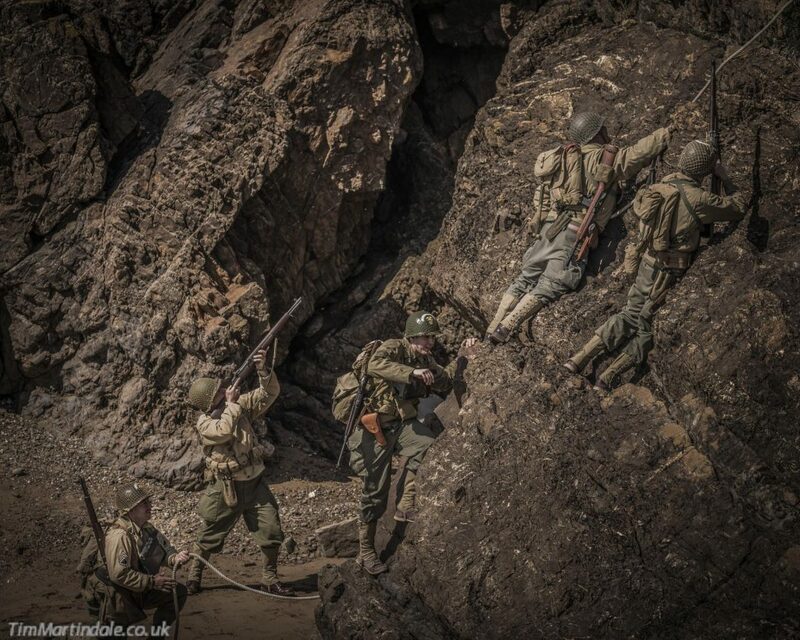 It is some of these scenes that will be recreated in the Bude at War weekend and will make for wonderful viewing 🙂 Incidentally, the US 2nd Rangers were the unit depicted in the film ‘Saving Private Ryan’. 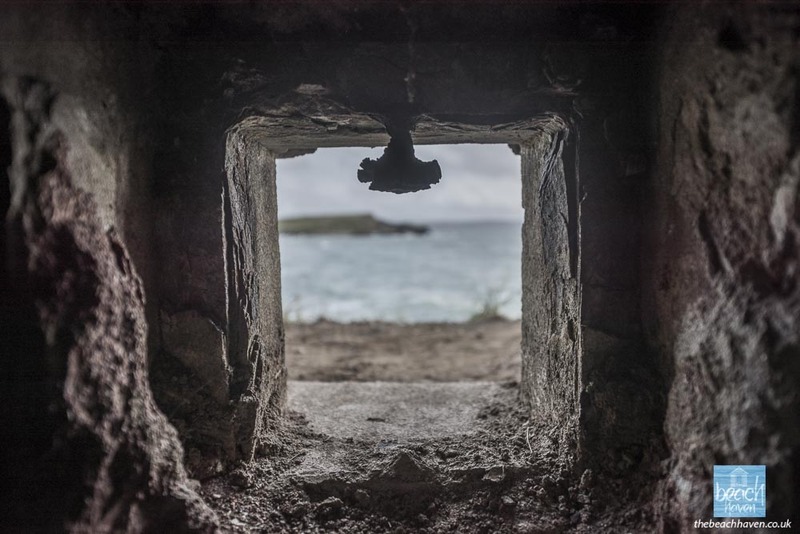 There are two machine gun embrasures in the Crooklets beach pillbox. 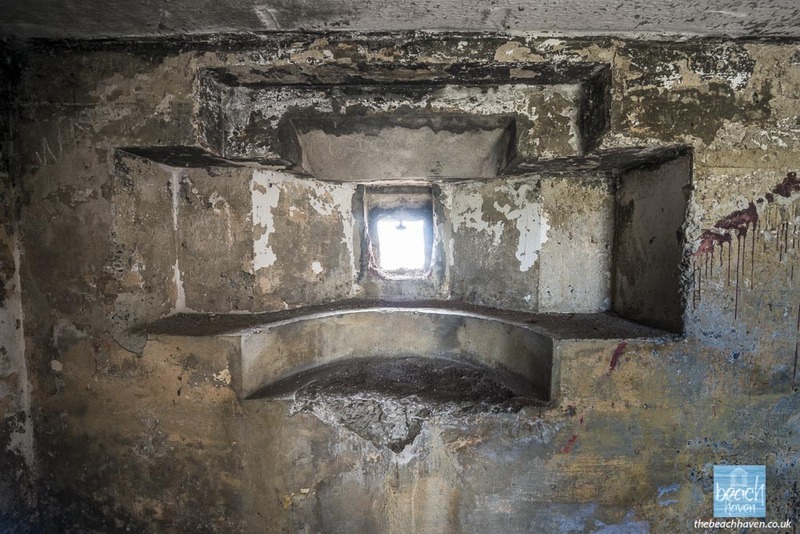 The knob at the top and pimple at the bottom of the loophole suggest the pillbox accommodated a Vickers .303 machine gun in a Turnbull Mount. The aperture seen from the outside is known as the loophole. The Turnbull Mount (left) and Vickers .303 machine gun that were probably used inside the Crooklets pillbox. A small amount of earth was also removed from infront of the loopholes during the recent unblocking. 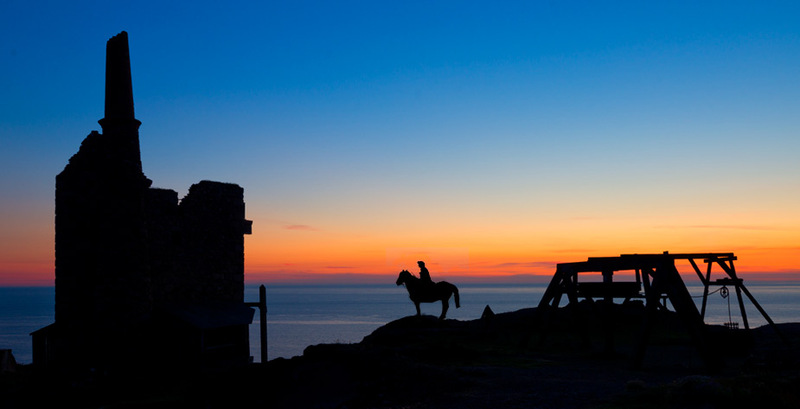 The Crooklets pillbox has a commanding view accross Bude Bay. The newly-reopened doorway to the Crooklets pillbox is located on the rough track from the kissing gate between the top of Crooklets and Maer cliffs, down towards Wrangle Cove. 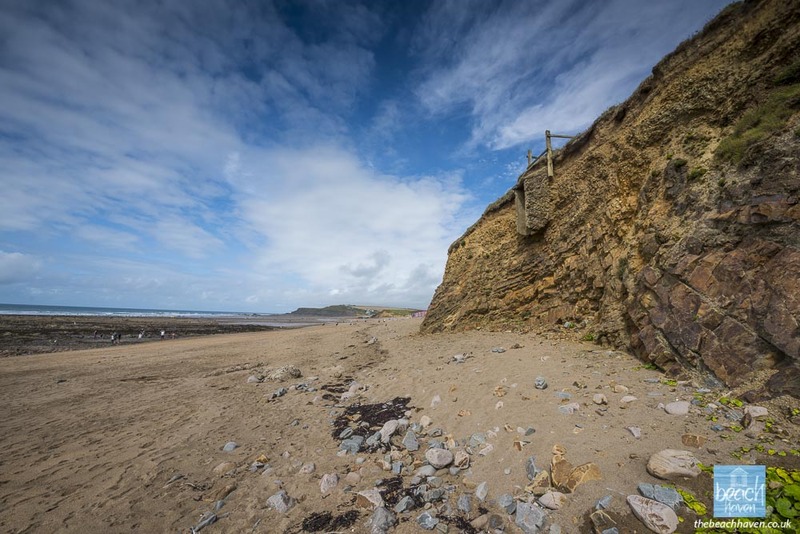 There is a seemingly identical pillbox at Widemouth Bay, three miles south of Bude. Sadly this one is completely blocked up by earth and even the loopholes are buried. 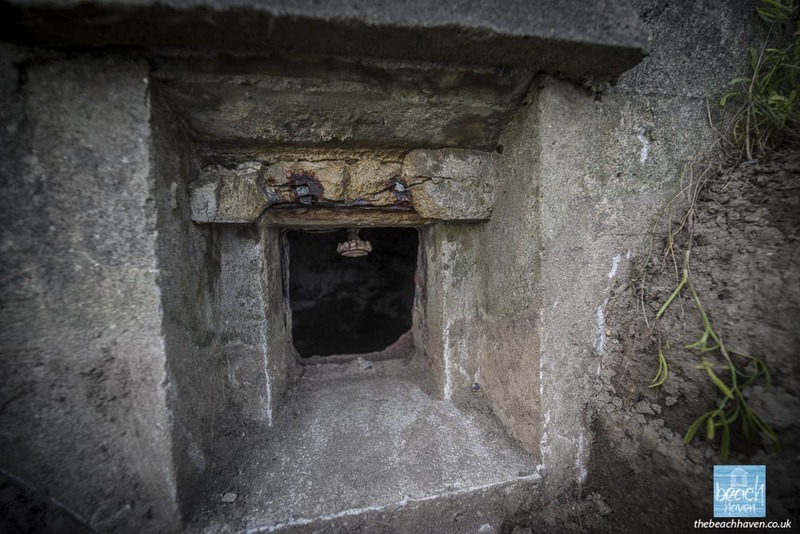 A number of ‘dragonstooth’ tanktraps have been dumped in front of the pillbox. The pillbox at the northern end of Widemouth Bay which is the same design as the Crooklets pillbox. Dragonstooth tanktraps have been dumped infront of the northern Widemouth pillbox. 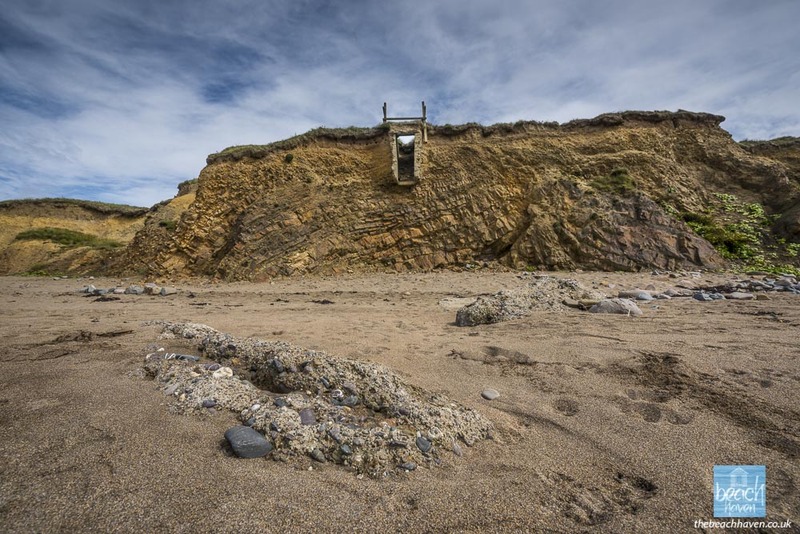 The steps into the south Widemouth pillbox now lead to nowhere! 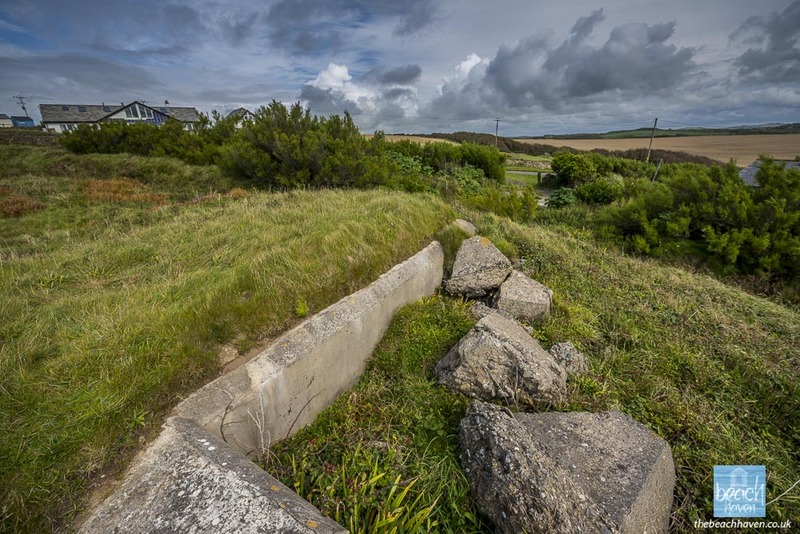 All that remains of the second Widemouth pillbox is the entrance, which now protrudes from the cliff. There are some concrete chunks of the remains in the sand underneath. 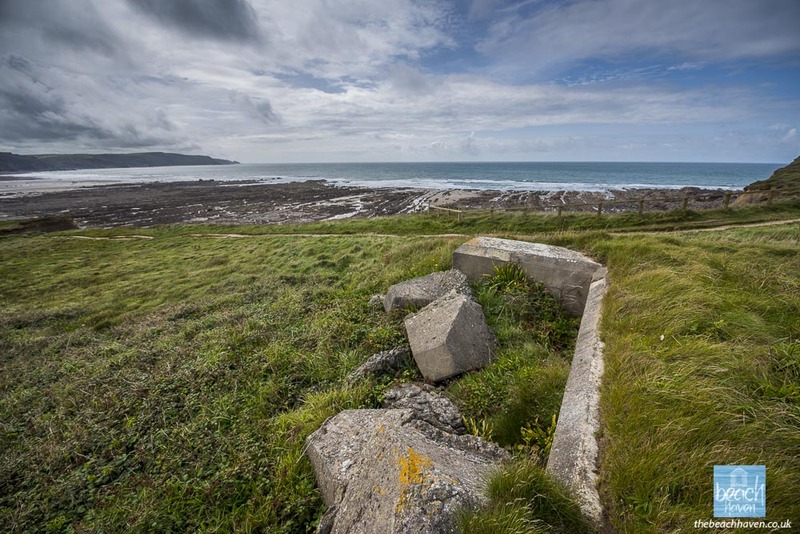 A fourth pillbox in the Bude area is located at Northcott Mouth. This is unfortunately on private land and is all but invisible – even if you know where to look! 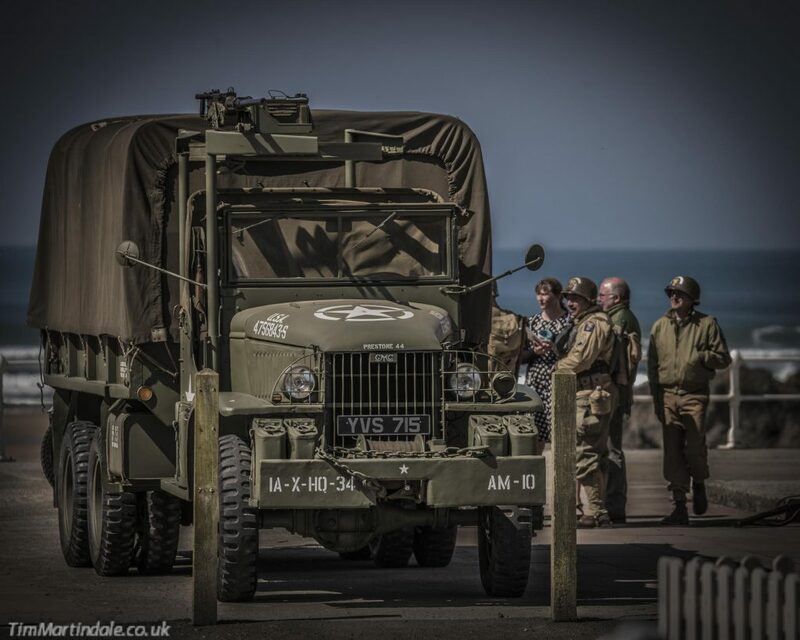 Don’t forget the Bude at War Weekend, which promises to be a wonderful weekend of events which include, not just the D-Day re-enactment but a GI Dance, a chance to see an Enigma code breaking machine, a Vintage Bellyboard competition and a wonderful display of period vehicles and stands. It will be quite unique. Dont miss it! 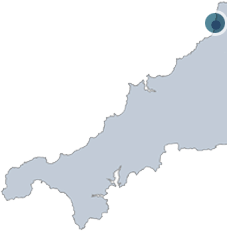 For full details, check the Bude at War website. 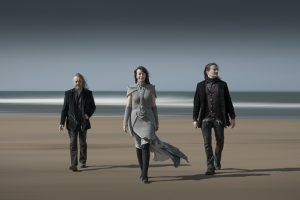 Or follow their Facebook page here. 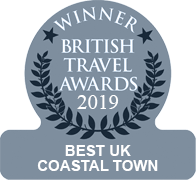 Fancy a holiday to Bude? 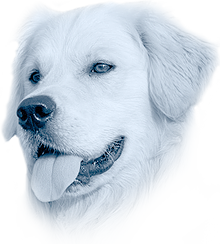 Check out our 2018 availability here. Posted August 24th, 2017 in News.